Like many parents of young children, Linsey Rippy finds her thoughts turn to gift lists this time of year. There’s a list for each of her daughters. But there’s also a gift list for children she likely will never meet — boys and girls who will spend the holidays at Mayo Clinic Children’s Center on Mayo Clinic’s Rochester campus. For the past six years, the Rippy family has organized a holiday toy drive to help stock the toy closets in the hospital and at the Ronald McDonald House in Rochester. Both are places the Rippy family knows well. 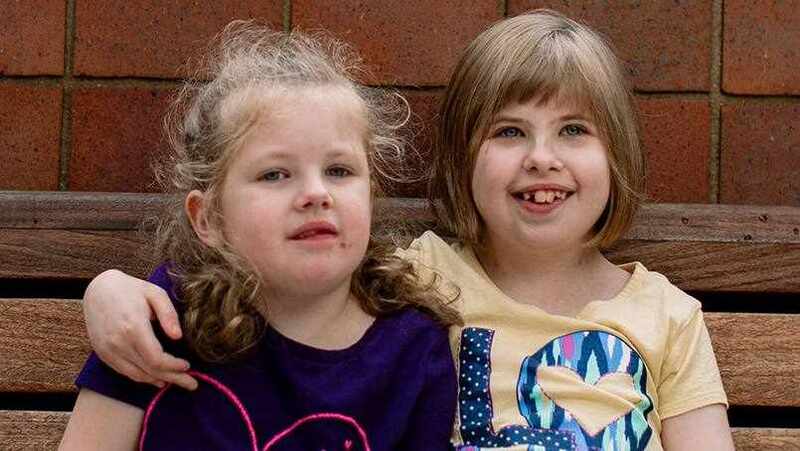 Linsey’s daughters, 10-year-old Madi and 7-year-old Sydney, were diagnosed with dilated cardiomyopathy as toddlers, and each had a heart transplant at Mayo Clinic at age 3. Over the years, that has meant lots (and lots) of long days and nights in the hospital. “It’s tough for kids to be stuck in a hospital bed,” Linsey says. Perhaps especially so during the holidays. So they’ve chosen to schedule their toy drive at Christmastime, with the hope that the gifts they collect may give a much-needed boost to hospitalized children. “I’ve seen how a little thing like a new sticker book or a toy can make a big difference to a kid in the hospital,” she says. “Sometimes it can turn a whole day around.” Read the rest of their heartwarming story.